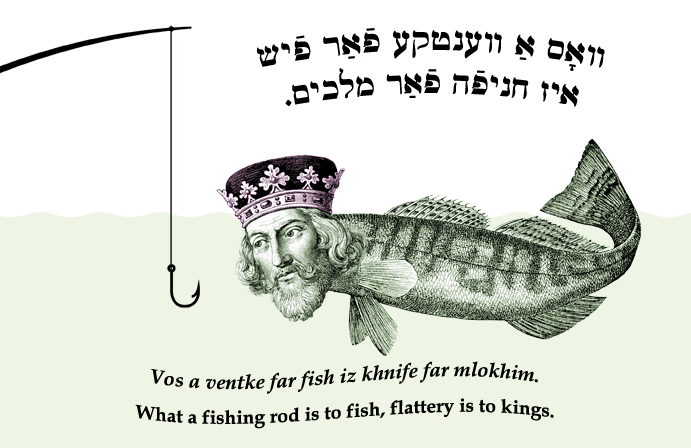 Yiddish Wit: What a fishing rod is to fish, flattery is to kings. ‎וואָס אַ ווענטקע פֿאַר פֿיש איז חניפֿה פֿאַר מלכים. Vos a ventke far fish iz khnife far mlokhim. What a fishing rod is to fish, flattery is to kings.